Tropfest Australia is the world's largest film festival that takes place in Centennial Park in Sydney on December 6. Each year the festival launches the next crop of talented filmmakers to great heights, whilst simultaneously bringing quality, provocative and distinctive short films to audiences picnicking in Centennial Park. The AACTA Awards celebrate and recognise film, television and documentary screen craft excellence. The AACTA Awards are held annually in Sydney and will take place on Wednesday 9 December at The Star Event Centre. Sydney was the real scene stealer in Baz Luhrmann's 2013 adaptation of F.Scott Fitzgerald's famous novel The Great Gatsby. 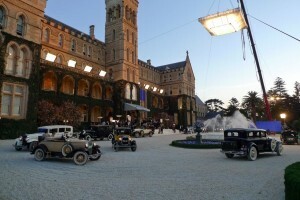 The grand International College of Management in Manly was given a Hollywood makeover and transformed into Gatsby's (Leonardo Dicaprio) extravagant Disney like mansion where he hosted lavish parties to attract Daisy (Carey Mulligan). Follow in Daisy's footsteps this Summer and head over the Harbour to find a Gatsby style party or enjoy an evening of sophisticated dining at one of the wharf side restaurants. It was at Bare Island on the shores of Botany Bay that Tom Cruise famously rode a motorbike over the ramparts in Mission: Impossible II. The historic military fort on the island served as the evil rogue agent Ambrose's (Dougray Scott) headquarters. The Bare Island Fort is open for guided tours and tickets can be purchased from the La Perouse Museum. For those feeling as adventurous as secret agent Ethan Hawke the Island has a rich history, picturesque picnic spots, and some great rocks for exploring. Who can believe that it is 21 years ago since the world first met Muriel Heslop, the quintessential Australian heroine who escaped Porpoise Spit to the bright lights of Sydney, in Muriel's Wedding and turned Toni Collette and Rachel Griffiths into household names. St Mark's Church in Darling Point was the setting for Muriel's special day in the 1994 AFI Award winning film Muriel's Wedding. Muriel's first job was at a video store on Oxford Street in Darlinghurst one of Sydney's best shopping streets. Sydney's inner west starred alongside True Blood's Ryan Kwanten, Holding the Man's Ryan Corr, and Oddball's Sarah Snook in the romantic comedy, Not Suitable for Children. The film about party boy turned wannabe father Jonah (Kwanten) captures the vibrancy, culture and lifestyle of Sydney's inner west. The share house at the center of the film is on Forbes street in Newtown just a short stroll away from some of Sydney's best cafes including Black Star Pastry, the world's best gelato at Cow and Moon, and the first ever Campos coffee cafe on Missenden road. Tamarama - Ruben GuthrieThis year's comedy drama written and directed by Brendan Cowell had its world premiere at Sydney Film Festival in June as part of Vivid Sydney, the world's biggest festival of light, music and ideas . The film focuses on a talented and troubled advertising creative who attempts to give up alcohol and attends his first Alcoholics Anonymous meeting at Tamarama Surf Club. Tamarama Surf Club is situated on the headland above Tamarama beach along the Bondi to Bronte coastal walk. Tamarama is currently playing host to several sculptures featuring in the annual Sculptures by the Sea exhibition in residence until November 8. Cockatoo Island - X-Men Origins & UnbrokenUNESCO world-heritage-listed Cockatoo Island in the middle of beautiful Sydney Harbour has played a pivotal part in two recent Hollywood blockbusters X-Men Origins: Wolverine and Angelina Jolie's Unbroken. On the Island, visitors can explore the Wolverine set which transformed the island into the notorious 'Three Mile Island' nuclear complex where the pivotal escape scene was shot. There is also an Unbroken screening room where visitors can see how the Island was transformed into Japan's prisoner-of-war camp, Naoetsu. Ferries to Cockatoo Island leave from Circular Quay and Darling Harbour daily. 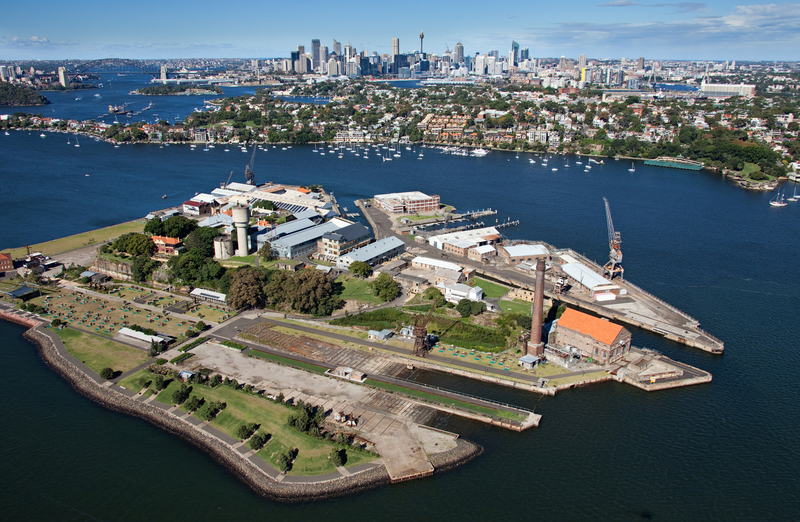 Cockatoo Island is the only Harbour island where you can stay overnight with glamping and camping options available. Harris Park – UnINDIANCross cultural romantic comedy UnINDIAN starring Brett Lee was filmed in Sydney's Harris Park.This suburb is a curry-lovers haven, bursting with the tastiest pappadums, naan and butter chicken dishes outside of India. The popular eat street, Wigram Street, has a range of authentic restaurants on offer including Ginger, Spice of Life and Bilu. AACTA Award winners Ben Mendelsohn and Susie Porter put Kiama and the South Coast on the map in 2000 with the honest and heartfelt drama Mullet. Kiama is famous as a coastal fishing destination as well as for its natural beauty. The Kiama Coast Walk begins at Minnamurra and wanders past headlands, rivers, beaches, Kiama's town centre and Blowhole Point before arriving at Werri Beach near Gerringong, which is the home of Cronin's Hotel, the pub at the center of the action in the film. The sleepy fishing village of Bermagui on the NSW south coast shone alongside Billy Connolly in feel-good comedy The Man Who Sued God. Bermagui is famous for its fishing and the charter boat from the film the 'Tarpin' is part of Bermagui Fishing Charters who organise a number of tours for experienced fisherman and newcomers. To see Bermagui like Billy Connolly did, it's best to find a spot at the Fisherman's wharf and enjoy the region's fresh seafood. 'Hoggett's Farm' the home of the sheep pig known as Babe was built in the rolling green countryside of Robertson, 128km south of Sydney, in the Southern Highlands. Robertson is not only famous for Babe, people travel from all over to taste the pies from the famous Robertson Pie Shop. There are 24 varieties both sweet and savoury. Sweet tooths should not go past the apple strawberry. Broken Hill - The Adventures of Priscilla, Queen of the Desert 1994 cult classic The Adventures of Priscilla, Queen of the Desert showcased the vibrancy and beauty of NSW outback mining town Broken Hill. The town played such an important role in the film that the decorated bus from the stage show was gifted to the town in 2012 and now resides at the Palace Hotel. The Palace Hotel on Argent Street is where Tick, Mitzi and Bernadette stayed is at the center of the town. The Hotel has a Priscilla Suite available for guests to stay. Flight Centre is now offering great value travel packages to local and national visitors to Sydney and fans of the AACTA Awards. Interstate fans of the AACTA Awards can take advantage of Flight Centre's 'Stay and Play' package which offers red carpet access, pre-Ceremony champagne and three nights' accommodation. Four-star packages are available starting from $495 pp twin share. Visitors looking to take the glamour to the next level can book a luxury five-star experience, and live it up at The Darling, starting from $789 pp twin share. General Public tickets to the AACTA Awards including red carpet arrivals and pre-Ceremony bubbles are also available now through Ticketek for $160 (including GST).